Let us introduce you to this very fine nature” of your goal buddy. We will provide you with guidelines on what the required characteristics should be and where to find yourself a good one. Because this is key! This person is your main helping hand along the way to your desired life. We are going to unravel the essence of the Goal Buddy system, namely the very core of the goal buddy. With a little bit of help from your friend – why you need a goal buddy? According to numerous research outcomes, strong social support has multiple positive effects on the individual. Moreover, some statistics indicate that around 94% of people fall short of their goals in the very first couple of weeks. The main reason appears to be rooted in the daily routine. It inevitably takes over you with its expediency. Your chance to break free from this everyday drag is to have the support of the close ones. What you need is some kind of support system, so that you don’t fall off track of your goals and you do act on them weekly. When someone you care about supports you, you will find it way easier to follow your objectives and feel relaxed and fulfilled. In our system, this person is called goal buddy. They will keep you motivated and committed to your own actions. For that purpose, you will first need to share with somebody what you strive to achieve. And then you will need to report back to them on your progress. On a psychological level, this mere fact has the power to get your sleeves rolled up. In other words, their support and integrity have a huge impact on the process. The truth is, you could be fully responsible for yourself. You could develop a fine functioning mechanism of self-accountability. And yet you couldn’t manage that well without your goal buddy. This person has something you lack – a different perspective. With a different point of view, he or she is able to provide you with valuable feedback. It’s clear – you will have hard time without a goal buddy, so see further what criteria to look for. This is not your regular friend – this is your mindset doppelganger! This person is not the one you have a beer with and watch a game once in a while, but rather the one “of your blood group”. This is someone with a particular attitude towards setting and accomplishing objectives. 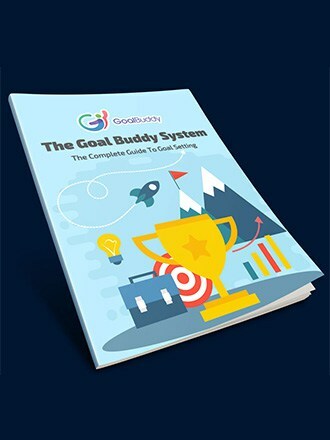 The ideal “goal buddy applicant” clearly has a profound interest in the subject and in the best case scenario has also the experience. What do we mean? If the person of your choice has been writing down his or her goals for years now, then this person is a catch. Don’t miss somebody like that!! That means he or she has had the opportunity to analyze the results of own actions and to track the evolving viewpoint. All that contributes to one’s successfulness and effectiveness. All successful people have some kind of goals. It is rarely the case when someone achieves success without caring for them at all. You both need to trust each other. It is good to go for somebody you have known for a long period and have a fair and open relationship with. You don’t want to get his support for only 30% of what you set up to do… Not because the rest of your plans are too personal to share. So, let the chosen one be somebody with whom you may share everything that’s important to you. You need to be able to comfortably talk even about aspirations of a personal matter, related to your SO, your finance or your health. Your goal buddy is not your mother-in-law. This person will not judge you, will not play it smart on you or give you unwanted cooking recipes. Joke aside, but there are such characters: the habitual advise-givers. They believe their intelligence, common sense, and perceptions of life make them competent to supply you with readymade solutions. But that is not what you need. Your goal buddy must not provide answers, but rather ask questions. If somebody knows best what you need to do, this is you. A good goal buddy can easily challenge your idea of a goal well set, oftentimes just by asking the simple question “why”. Or you may have formulated it poorly (again – without questioning the exact way). So it is not really an action goal, but rather some result. Or worse: a step not entirely in your control. In a nutshell: your “partner-in-crime” can ask you the questions so you can reach the correct answers yourself. They will contribute to your objective setting model’s perfection. This way of thinking will be cultivated over time and your discussions will get shorter and more efficient. Now, since the vision is long-term, one may assume that the purposes will be accomplished in a long run as well – the contrary would be illogical. Our favorite example to illustrate this is about health. It doesn’t work that way: you go to the gym five times or you do a detox diet for a couple of days. And after doing that you consider your action goals for your lifelong vision for health accomplished. Well, the same goes for your goal buddy. You are going to need one while advancing towards your long-term vision. Therefore, this person must have the will and intent to develop a long-term relationship with you in order to be your (goal) buddy till the end. You need somebody responsible and engaged. Somebody who eagerly finds the time to communicate with you on a regular basis. To summarize: your goal buddy has to be a good friend of yours, who shares your passion for accomplishments. This person truly wants to help you find the right path. And he or she is ready to invest time in your mutual commitments for many years to come. So now you have already built a clear idea of this bright star – your future goal buddy. Let the search begin! We suggest two different approaches – one proactive and one… even more proactive. One option is to shout it from the rooftops, that you are interested in setting and hitting targets, and let one find you. What does it mean? Share about “Goal buddy” system on your Facebook wall, tweet about it, post links leading to our website or the podcasts, talk about it when you meet friends. In this way, you will find out who is going to like, comment, share – in other words, who of your acquaintances shows any interest. These are your potential goal buddies, so contact one of them with a “goal friendship request”. Look at this endeavor as an experiment – just try and it may just as well work out. The more proactive approach is to think well who of your contacts matches the above-mentioned criteria. Then connect to them in a way of your choice, tell them about the system and suggest this unique relationship. You may find your goal buddy when visiting some of the workshops we organize in “Goal Buddy”. These are annual meetings that generate extraordinary energy and spirit of purposefulness. The format is as follows: a large group of achievement enthusiasts gathers for a day. We refine our visions, build a strategy for our 90-day action goals, connect to each other, get to know the “Goal Buddy” system’s tools and how we may use them for our own thriving. We invest this day of our lives in ourselves and share it with those who are on the same wavelength as we are. All this happens in a special setting, built upon the idea of an active and successful future. Most importantly, at these meetings, one may meet their future goal buddy. You are probably still wondering: once you find your goal buddy, what are you two supposed to do together? We help each other by getting actively involved in the other person’s ideas and aspirations. 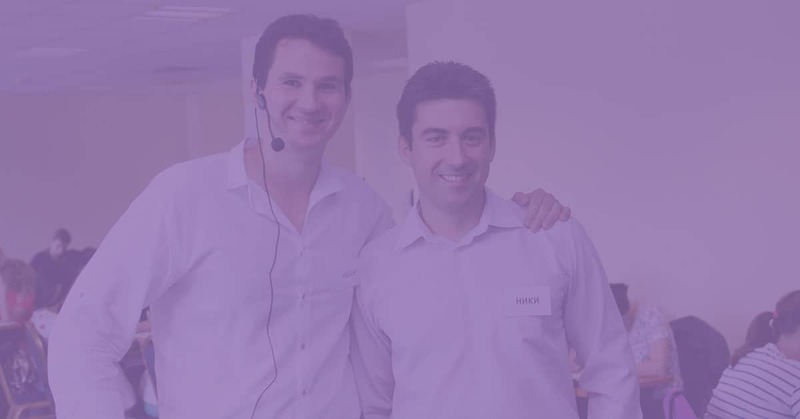 That’s why we both participate in the whole process: from the laying out a long-term vision, to the quarterly 90-days action goals definition, to the formulation of small weekly steps. First of all, we take one day per year to comment on our visions and then to develop specific strategies for their achievement by setting 90-day action goals. Later on, we keep meeting every 90 days. Within few hours we analyze our implemented strategies and progress. Then we define our next 90-day action goals. Separately, we have a brief phone call each week. During these, we share our planned weekly steps, give each other feedback on the steps already taken, and – quite importantly – we ask each other questions. What have you learned – this is the most important question. The idea in “Goal Buddy” is that there are no failures – there are only lessons. That’s how we do things in “Goal Buddy”! Follow our example and you will be convinced, that all these hours you both invest in your communication pay off a great deal! What you get is the perfected purpose setting, the motivation for action and the confidence that someone believes in you and supports you unconditionally. And now – go ahead and hurry up – find your goal buddy before the good ones have run out! When you do, we will be very happy to hear back from you how and where you have found one. In the next topic, we will look at the popular SMART goal setting model and will give you some better ideas on what to use instead.